Its been a busy few days for all the teams volunteers of late, having been involved in four incidents over a six day period. As if that wasn’t enough, the Drone Team were up bright and early this morning to be interviewed live on Radio Derby. Buxton Mountain Rescue Team recently became the first mountain rescue team in England and Wales to be approved by the Civil Aviation Authority to use drones to help search for missing people. Buxton Mountain Rescue Team has become the first Mountain Rescue England and Wales team to be granted approval by the Civil Aviation Authority (CAA) for the use of drones. The approval will enable the rescue team to be able to use the drones to search for missing persons in places where access is difficult or unsafe for team members. The approval is the culmination of a project, which started nearly 18 months ago by two team members, Roger Bennett and Carney James Turner who had a chance conversation with staff of the Pure Buxtonmagazine. Quiz number 14 of an on-going series of quizzes by our very own Quiz Mistress Gillian Halliday is now up and running. There are 60 questions on place names in British Isles which contain an item of clothing, jewellery or accessory. SAE plus £1 cash/cheque made payable to Mrs G. Halliday, to ‘Lorien’. Main Road. Stickney. Boston. Lincolnshire. PE22 8AG. Four members of the team took part in the Quiz Night at the Queen’s in Dove Holes on Sunday evening. 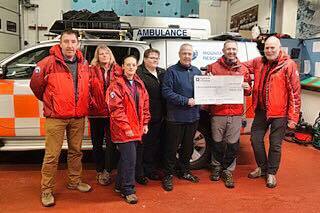 Local resident, Ian Lomas put on the spectacular Lumpys Music Quiz and about 100 locals and friends turned up to support the appeal for funds for The Christie and Buxton Mountain Rescue Team. Our four claimed the booby prize but both charities were the real winners, each receiving a cheque for £440. We’d like to thank Ian for nominating us alongside The Christie and landlord Kevin for hosting the event. 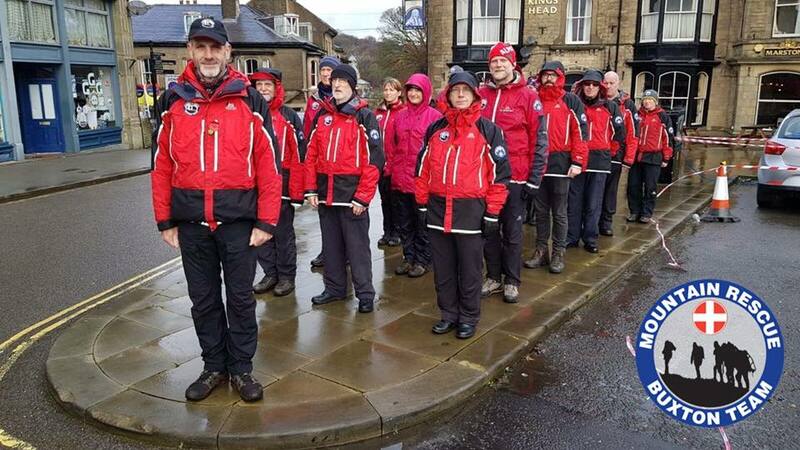 Buxton Mountain Rescue Team was honoured to join the groups remembering the fallen from the Great War and all other conflicts on the 11th Day of the 11th Month. Family, friends and team members attended the funeral of Buxton Mountain Rescue Team, Operational Team Member, Tim Pendleton at Macclesfield crematorium on Thursday 25th October and met together afterwards at the Cheshire Cheese in Buxton to celebrate Tim’s life. Tim was 56 years old and passed away recently following a short illness. 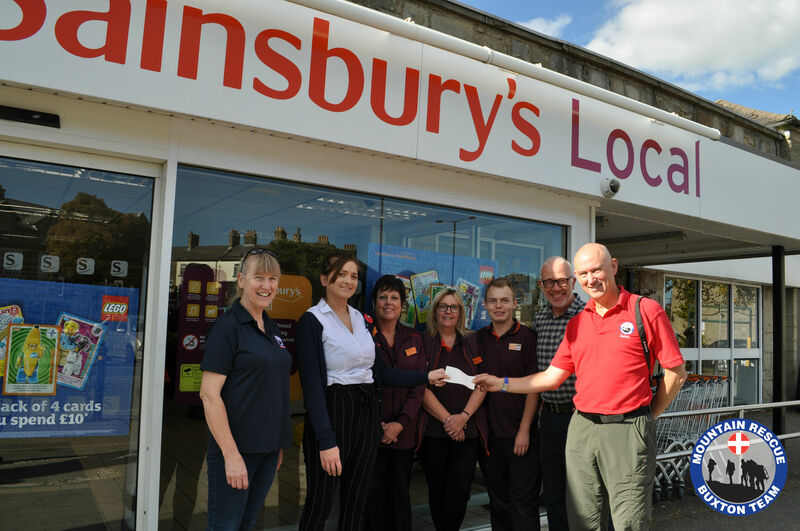 We’ve recently been handed a splendid collection from the customers and staff at Sainsbury’s, Buxton.